The first and main cycle that essentially impacts your life is the Personal Year Cycle number. Every year is a part of a great mosaic in Numerology which is called an epicycle and consists of 9 years. Such cycles start from your birthday and evolve year by year, until the epicycle of 9 years is completed, then the new one starts. 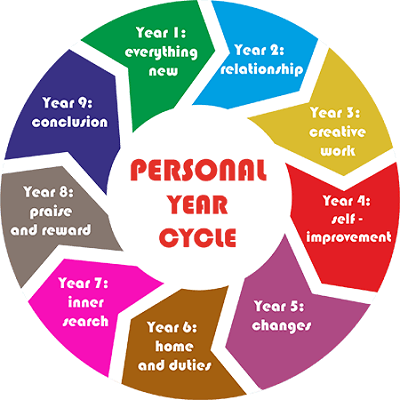 The duration of each epicycle is from 1 Personal Year up to the 9 Personal Year. Each Epicycle has a particular mood and atmosphere with different amount of opportunities available and experience provided. Each year obtains certain characteristics attached to its number. For example Year 1 will be full of characteristics provided by Number 1, Year 2 accordingly to Number 2 and so on. 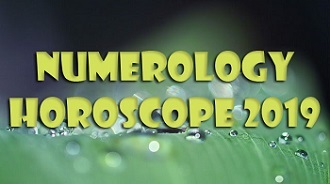 Furthermore, each year is influenced by shorter cycles that happen during the period of a particular year, such as: Transits, Essence numbers and other cycles of longer periods. Generally, the most tangible influences are Personal Year and Essence numbers influences. Personal Year 9: Year of conclusion, changes and conversion.